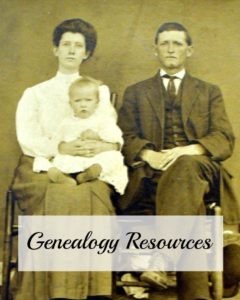 Genealogy Resources | Are You My Cousin? This page contains affiliate links. Please see full disclosure policy here. Many, many online genealogy resources exist to help assist the researcher. Below is a list I use most often in my research. Some are free of charge and some sites are subscription based ($). Best of luck researching your ancestors! Ancestry.com ($) Subscription based website. Some searches are free. Library of Virginia My “go-to” resource when researching Virginia ancestors. Cyndi’s List A website with links to multiple genealogy websites around the internet. History at Home: A Guide to Genealogy This site was suggested by a Brownie troop working on the “My Family Story” badge. Thank you, Brownie Scouts! State Library of North Carolina Includes online resources for NC newspapers, family Bibles and much more. FamilySearch.org – Many genealogy educational resource available. National Genealogical Society– Offers educational courses. The blog is also very informative. Conference Keeper A website that compiles all genealogy related conferences together. Ancestry DNA – Ancestry.com has recently announced they will no longer be participating in Y-DNA or mt-DNA testing. Cece Moore – Your Genetic Genealogist – Fabulous and informative blog on using DNA in your genealogical research.